I love browsing though vintage/thrift/antique stores! I rarely ever buy anything, as I'm trying to get rid of the crap I have! But, it's fun to look. 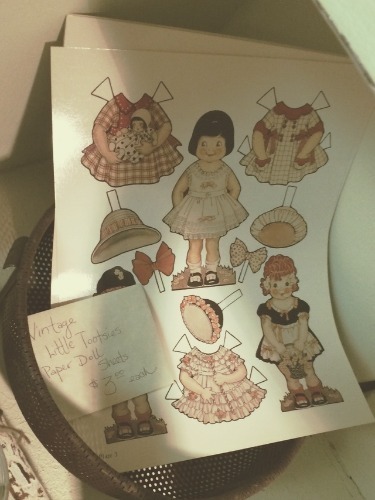 You never know what you're going to find, like these super cute vintage paper dolls! 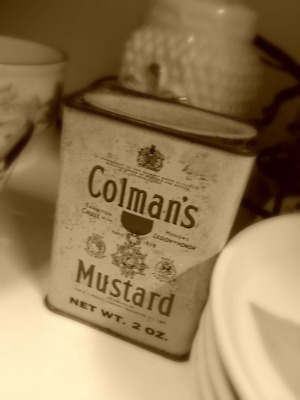 I used the Time Machine effect in "Flo" from PicMonkey.com for this picture. Found on the back of a shelf in a now-closed antique shop downtown: letters spelling FUN! I was so sad to see this place has closed down. 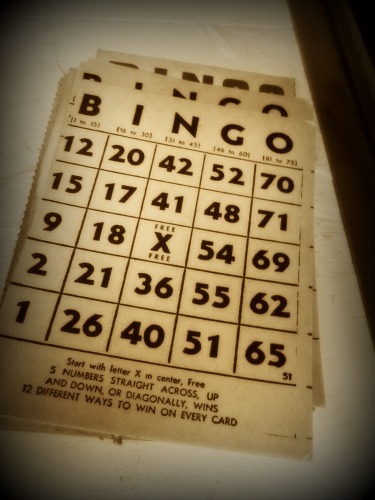 They always had such, eh, fun stuff (pardon the pun! ), and I always planned to go back and buy the small black raven statues they had. le sigh! My mom's Raggedy Ann doll; I played with her as well and remember our adventures fondly. No, this is not one of our dolls, many of which are being sold on eBay, but one I found at an antique mall, and thought she had a pretty face. 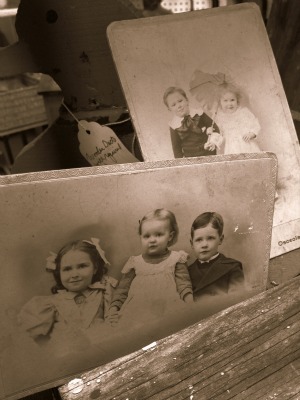 I think it's kinda sad when I see someone's old family photos for sale in an antique store/mall. I wonder who these people were, and why their family chose to give the pictures to a store to sell to strangers? Maybe there's no family left; the person was the last of their line, so the estate was distributed by an attorney or maybe a friend who had no emotional ties to the family or memories of the people in the photos. Whatever the case, it's sad.